The information was revealed at a press conference in Hanoi on April 5. Themed “The quintessence of Vietnamese traditional crafts,” the festival will gather excellent artists from craft villages of Thua Thien - Hue and other localities. The event will feature 16 groups of craft, including embroidery, jewellery, wooden crafts, copper items, pottery, conical leaf hats, confetti, calligraphy, painting, kite-making, garment-textiles, and bamboo and rattan products. Sixty-two craft villages and vocational establishments with 350 artisans from across the country are expected to participate in the festival, as well as 17 international delegations and 11 foreign cities and organizations such as Japan, the Republic of Korea, China, Brazil, and Turkey. Besides previous activities such as an ao dai (Vietnamese traditional long dress) festival, a food festival and the Hue international hot air balloon festival, there will also be new attractions such as a flower festival, arts program and performances by Korean singers. The organizing board will arrange many beautifully decorated spaces to honor artisans and craft villages, especially those working with lotus, silk, brocade and the ao dai. Each space will not only tell a story about the traditional craft, but also introduce craft products imbued with Vietnamese tradition and international integration. In addition, the organizing board will also arrange a pedestrian space along the scenic Huong River. 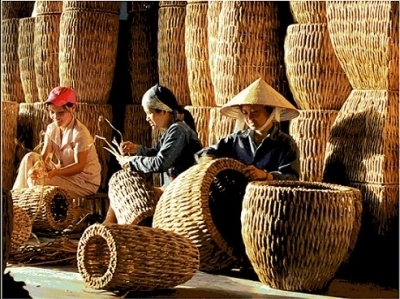 Chairman of the People’s Committee of Hue city Nguyen Van Thanh, head of the organizing board, said the festival aims to honor craft villages and artisans who made active contributions to Vietnamese traditional craft. He stressed that it is not only a cultural and tourism event, but also an economic and political one that brings benefits to artisans and craft villages.